When it comes to watches, it seems that they fall into two camps: well-made and expensive or affordable and disposable. But what about the guy who doesn't want just another Timex field watch? Who's not looking for a knock-off, or willing to shell-out the dough for a vintage Rolex, but still craves the style and function of an IWC without going broke? Alfredo Silva and Martijn van Hassel, two Amsterdam-based watchmakers want to help. 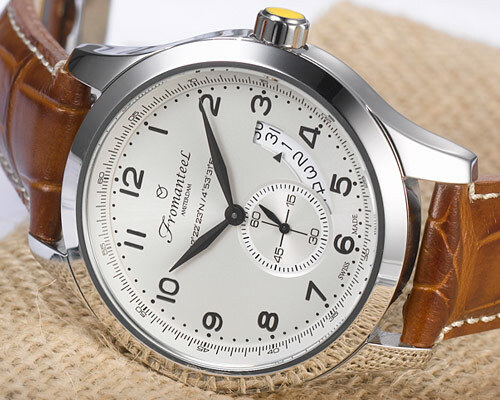 The two young watch aficionados launched Fromanteel watches two years ago looking to fill such a void with quality, Swiss-made timepieces without such a hefty price tag. Below, Silva shares his thoughts on his first watch, the benefits of a classic design and making affordable watches in Switzerland. 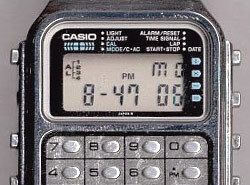 My first watch was a Casio. The one with a calculator. I must've been eight and saved up to buy one. It fascinated me how they fit such functionality into a watch. I think that's why we work so hard on the presentation and functionality of our timepieces. It's about the way a watch feels around your wrist. It completes the man—it gives him a sense of accomplishment before leaving the house. From our perspective, a well-designed watch expresses a certain aesthetic harmony, which shouldn't be conspicuous. Take, for instance, our Timemachine model. It's the essence of a modern classic—sporty, but understated. 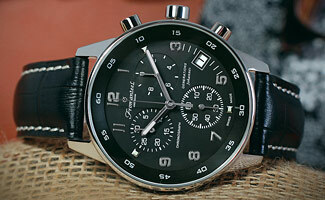 A good watch should be timeless and can be worn with a variety of styles and by multiple generations. I think it's often taken for granted, but the technology behind quartz and its accuracy is still mind blowingly relevant. Introduced in 1969, it's the most accurate and consistent timekeeping mechanism, able to withstand magnetic fields, extremes in temperature and atmospheric pressure. These are qualities that automatic or mechanical movements cannot claim. All of our watches are equipped with the best Swiss-made quartz movements. The Swiss don't mess around. The Swiss have a valuable reputation to protect, and being a new brand, they made it clear that they would only work with us if our concept was sound. 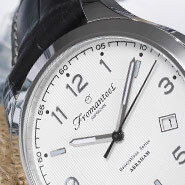 Our philosophy at Fromanteel is that of affordable luxury, a well-made watch at a fair price. But right away, they could see our unyielding focus on the final quality. Martijn and I think very carefully about the way we produce and the materials we use. The brand is named after a Dutch family of clockmakers that made some of the world's first pendulum clocks. You're only as good as your materials. We use hand-stitched leather bands and a stainless steel, PVD-coated case for models like the Timemachine. PVD is a process that makes the casing scratch proof. They use the technology in aviation to protect the vital parts of an aircraft. Why go through all this trouble? We want to build a bridge between the present and the past, so we created a very modern watch, influenced by the past but using the very best high-tech processes.